Malaria is one of the world's leading killer infectious diseases with high incidence and morbidity. The problem of multidrug-resistant Plasmodium falciparum has been aggravating particularly in Southeast Asia. Therefore, development of new potential antimalarial drugs is urgently required. The present study aimed to investigate antimalarial activities of a total of 27 medicinal plants and 5 herbal formulations used in Thai traditional medicine against chloroquine-resistant (K1) and chloroquine-sensitive (3D7) P. falciparum clones. Antimalarial activity of the ethanolic extracts of all plants/herbal formulations against K1 and 3D7 P. falciparum clones was assessed using SYBR Green I-based assay. All plants were initially screened at the concentration of 50 μg/ml to select the candidate plants that inhibited malaria growth by ≥50 %. Each candidate plant was further assessed for the IC50 value (concentration that inhibits malaria growth by 50 %) to select the potential plants. Selectivity index (SI) of each extract was determined from the IC50 ratio obtained from human renal epithelial cell and K1 or 3D7 P. falciparum clone. The ethanolic extracts from 19 medicinal plants/herbal formulation exhibited promising activity against both K1 and 3D7 clones of P. falciparum with survival of less than 50 % at the concentration of 50 μg/ml. Among these, the extracts from the eight medicinal plants (Plumbago indica Linn., Garcinia mangostana Linn., Dracaena loureiri Gagnep., Dioscorea membranacea Pierre., Artemisia annua Linn., Piper chaba Hunt., Myristica fragrans Houtt., Kaempferia galanga Linn.) and two herbal formulations (Benjakul Formulation 1 and Pra-Sa-Prao-Yhai Formulation) showed potent antimalarial activity with median range IC50 values of less than 10 μg/ml against K1 or 3D7 P. falciparum clone or both. All except G. mangostana Linn. and A. annua Linn. showed high selective antimalarial activity against both clones with SI > 10. 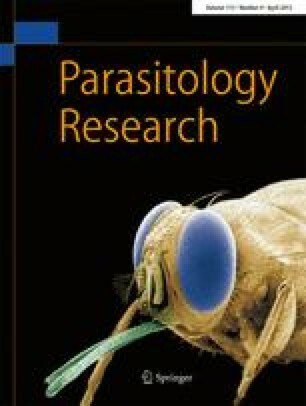 Further studies on antimalarial activities in an animal model including molecular mechanisms of action of the isolated active moieties are required. The study was supported by Thammasat University; The Commission on Higher Education, Ministry of Education of Thailand; and The National Research University Project of Thailand (NRU), Thailand Research Fund (TRF), Office of Higher Education Commission.